Ringing in music festival season on the east coast, the 2017 Savannah Music Festival begins on Thursday, March 23rd. The pioneering cross-genre festival is in its 28th season, staging original productions and unique pairings in jazz, classical music and a wide variety of American and international roots music styles. Founded in 1990 as a multi-disciplinary event and transitioning to solely music in 2003, SMF presents world-class folk, fine and pop art in intimate venues throughout the alluring, congenial and walkable historic district of Savannah, Georgia. Programming is led by Executive & Artistic Director Rob Gibson, with Associate Artistic Directors Daniel Hope, Marcus Roberts and Mike Marshall. The festival has been called an “omnivore’s delight” by the Atlanta Journal-Constitution, “one of the best world music festivals in the country” by Afropop Worldwide, “an all-star galaxy” by Jazz- Times, “programming of staggering breadth” by the Financial Times, “a festival for newcomers and connoisseurs alike” by Die Welt, “one of North America’s most distinctive musical events” by the Toronto Star and “a perfect starting point for celebrating the start of spring” by the Associated Press. Stewart Goodyear will perform a Beethoven Sonatathon. 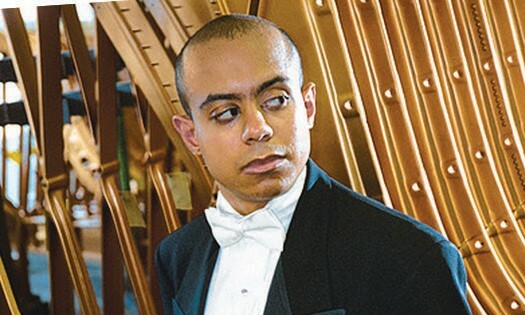 He is praised as “a phenomenon” by the Los Angeles Times and “one of the best pianists of his generation” by the Philadelphia Inquirer, Canadian pianist Stewart Goodyear is an accomplished concerto soloist, chamber musician, recitalist and composer. In this rare engagement, Goodyear takes on the Herculean challenge of performing all 32 of Beethoven’s sonatas in one day.